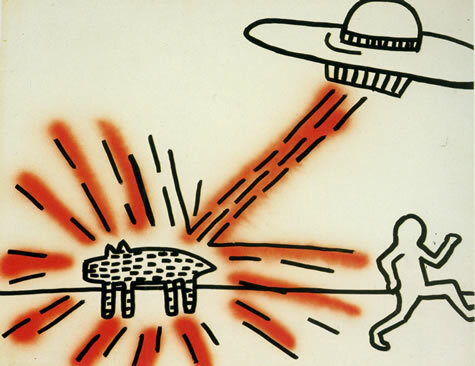 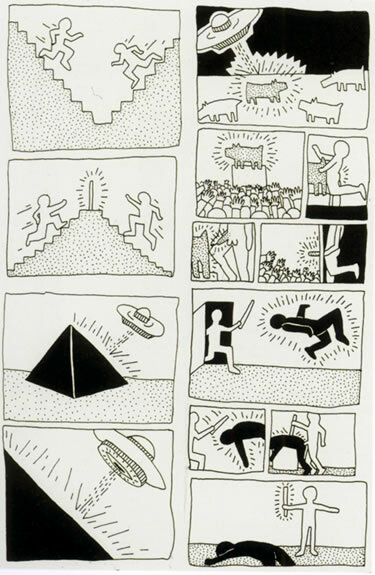 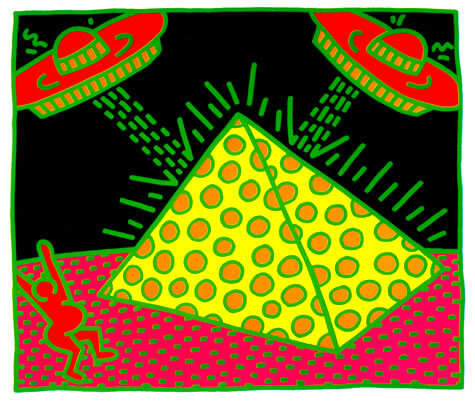 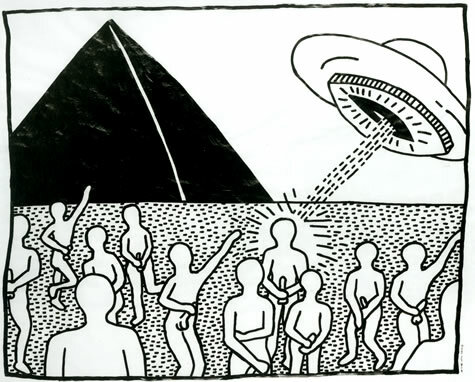 Although UFOs and ufology saturated the popular culture of the day, especially the growing corpus of alien abduction narratives, for Haring the craft were symbols of a different sort: a representation of forbidden desires, fertility, virility, authority, divinity, estrangement—“the difference between human power and the power of animal instinct.” What he conveyed was the feeling of being human and animal and alien all at the same time. 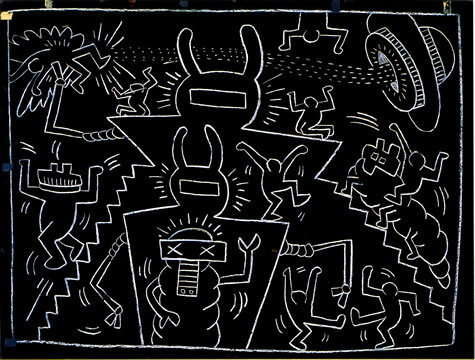 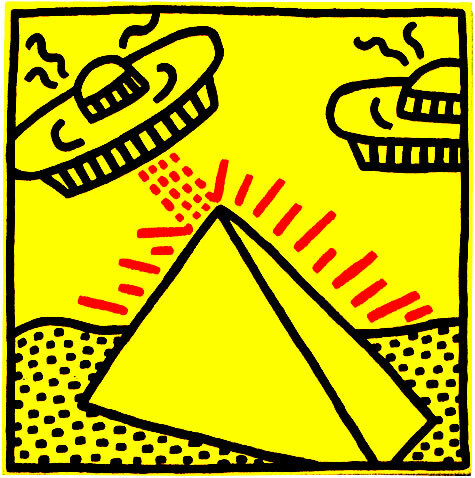 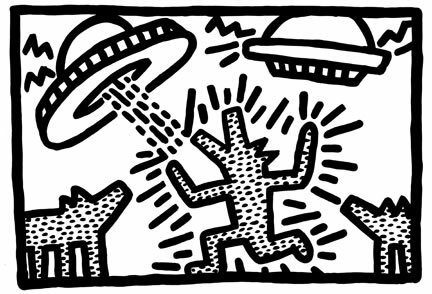 Haring’s art became increasingly somber, his flying saucers replaced by angels and corpses, as the AIDS epidemic decimated the gay community. 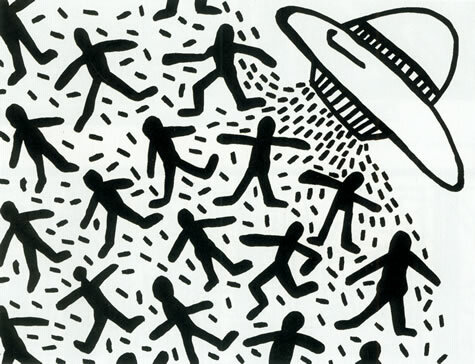 He devoted much of his work throughout the decade to AIDS education and research, children’s hospitals and orphanages, political causes, and spontaneous public service announcements, until he himself died of AIDS-related complications in 1990 at the age of 31.